Trust Tree Arts and Leadership Programs for Girls was founded in 2017 by me (Correne Spero) with a LOT of help from my friends! 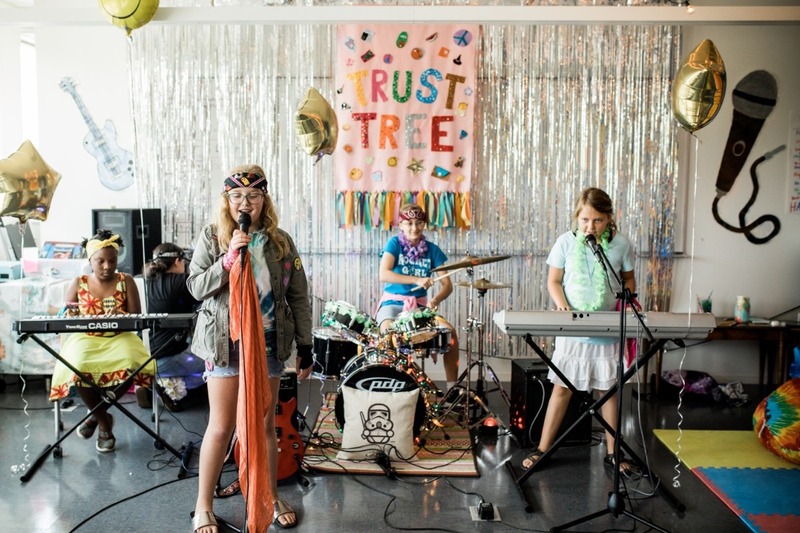 Our flagship program is a songwriting and recording camp which aims to create a space where girls feel respected, validated, and free to experiment artistically. The funds raised through this campaign will go to scholarships, supplies, musical equipment, and other expenses involved with continue to offer our programming to girls in Central Arkansas. I cannot express how much your donations mean to me, my co-facilitators, and the girls who are learning to trust their ideas, their creativity, and each other through this program. Every dollar helps us make camp an awesome experience! Donors at this level will receive a big thank you on our camp Facebook page! Thank you for your generosity! Donors at this level will receive a shout-out on our Facebook and will be included in a thank you video from our campers. Thank you thank you thank you! you are a STAR! Donors at this level will receive a shout-out on our camp Facebook and a personalized video from our campers! You are a SUPERSTAR in our eyes!!! Donors at this level will receive a Facebook shout-out, personalized video from our campers, and a treat in the mail. Folks like you make it all possible! Donors at this level will receive a Facebook shout-out, video from campers, and a letter from a scholarship recipient!